Spring is here, and that means we can finally bring our entertaining outdoors. From enjoying after-dinner drinks on the patio to whimsical garden parties to post-brunch concoctions on the porch, there's just something so relaxing about spending time outdoors with friends and family. The only thing that can make these warm summer days and evenings better? Frozen margaritas! They take just a few minutes to make in your Margaritaville® Jimmy Buffett Anniversary Edition Key West™ Frozen Concoction Maker®. Every sip is refreshing and delicious and makes your leisure time and entertaining occasions even more fun. Spring is such a wonderfully fragrant time of year - flowers are in full bloom, their days spent being warmed by the sun. Celebrate the season of fresh flowers and new beginnings with this sophisticated take on a margarita. It uses just a hint of lavender flavor to make your margaritas into botanical beauties. Add ice to the ice reservoir and all remaining ingredients to your Margaritaville® Jimmy Buffett Anniversary Edition Key West™ Frozen Concoction Maker® glass jar. Concoct and pour into glasses. Garnish with lime wedges and dried lavender sprigs and serve. Grapefruit and raspberries create a margarita that's a soft shade of spring-perfect pink. With sweet berries, zesty grapefruit and a spritz of tart lemon, it will dazzle your taste buds with its vibrant flavor. A brown-sugar-and-honey glass rim puts the finishing touch on this almost-too-cute to drink concoction. Prepare margarita glasses by dipping rims in honey and then in sugar. Set aside. Add ice to the ice reservoir and all remaining ingredients to your Margaritaville® Jimmy Buffett Anniversary Edition Key West™ Frozen Concoction Maker® glass jar. Concoct and pour into prepared glasses. Garnish frozen margaritas with fresh raspberries and lemon slices and serve. 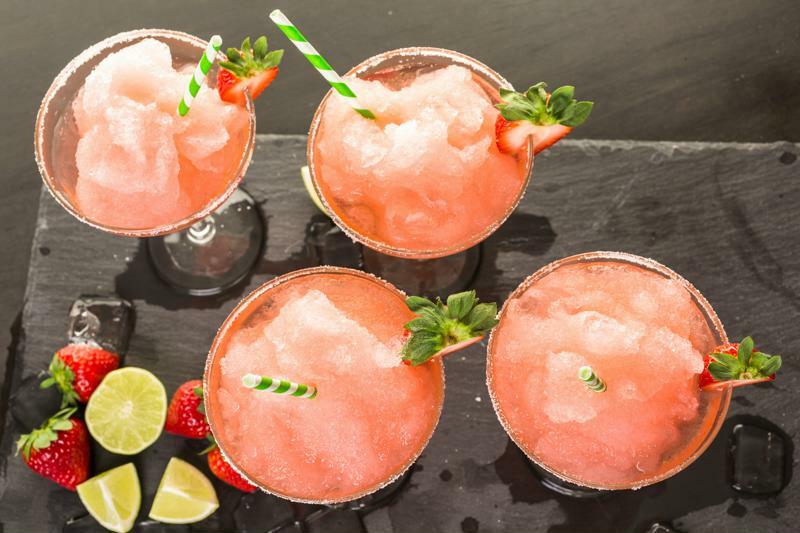 Delight your guests with frozen margaritas - they make any outdoor springtime occasion sweeter. Don't the blue skies and sunny days of spring make you want to lay back in a hammock and let the world go by? Celebrate those relaxing vibes of the season with a vacation-ready frozen margarita made with dreamy coconut and juicy peach. Prepare margarita glasses by dipping rims in honey and then in sugar. Set aside. Add ice to the ice reservoir and all remaining ingredients to your Margaritaville® Jimmy Buffett Anniversary Edition Key West™ Frozen Concoction Maker® glass jar. Concoct and pour into prepared glasses. Garnish frozen margaritas with peach slices and serve. Continue the botanical vibes by incorporating delicately flavored rosewater into a frozen margarita. Strawberries add sweetness and depth while also giving the concoction a beautiful red hue. Top off the drink with a sprig of mint for a final touch of fresh flavor. It's a chic and creative frozen margarita that will impress your springtime guests, no matter the occasion for entertaining. Add ice to the ice reservoir and all remaining ingredients to your Margaritaville® Jimmy Buffett Anniversary Edition Key West™ Frozen Concoction Maker® glass jar. Concoct and pour into glasses. Garnish with mint sprigs and lime slices and serve. Light and refreshing margaritas dazzle during springtime - try making them with grapefruit, cherry, rosewater or lavender syrup. Warm spring breezes let us know of the fun summer ahead, and enjoying these breezes is even nicer when we've got a frozen margarita in hand. Serve this unique concoction at your next spring gathering - sweet banana gives it its bright, sunny color. Top it off with a swirl of whipped cream to make it extra festive. Add ice to the ice reservoir and all remaining ingredients to your Margaritaville® Jimmy Buffett Anniversary Edition Key West™ Frozen Concoction Maker® glass jar. Concoct and pour into glasses. 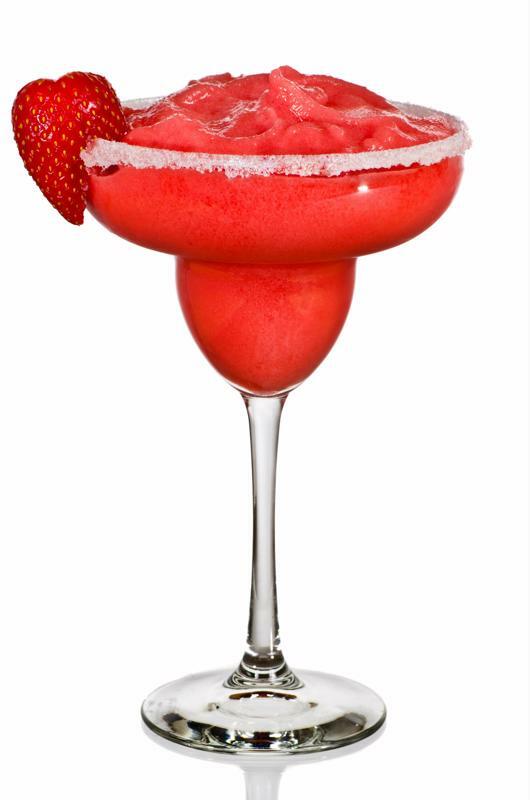 Top each frozen margarita with a swirl of whipped cream and serve. Each spring, we look forward to the arrival of beautiful pink cherry blossoms. The blooms fill the air with a lovely and irresistible perfume, and tourists travel from all over to snap a pic of their glory. Celebrate the cherry blossom season with this pink frozen margarita. Add ice to the ice reservoir and all remaining ingredients to your Margaritaville® Jimmy Buffett Anniversary Edition Key West™ Frozen Concoction Maker® glass jar. Concoct and pour into glasses; serve.